It’s the season for shorts! We’ve waited all winter long and we’re ready to slip into spring and summer’s favorite staple. While we can always rely on a pair of cuffed trousers shorts or denim dungarees, we can’t wait to slip into an easy-to-wear pair of flowy shorts just like you! Here’s how to style your flowy shorts! These go together like PB & J. Add some balance to your flouncy shorts by pairing them with a fitted top to show off your shape. Take your look one (stylish) step further with trends like embroidery or pastels hues. Cold shoulder top, that is! Ultra-feminine and bohemian to boot, this style is a perfect match for your favorite shorts. Up your outfit game by pattern mixing with some of spring’s freshest prints. For some of us, shorts can feel a bit revealing after months of jeans and pants. 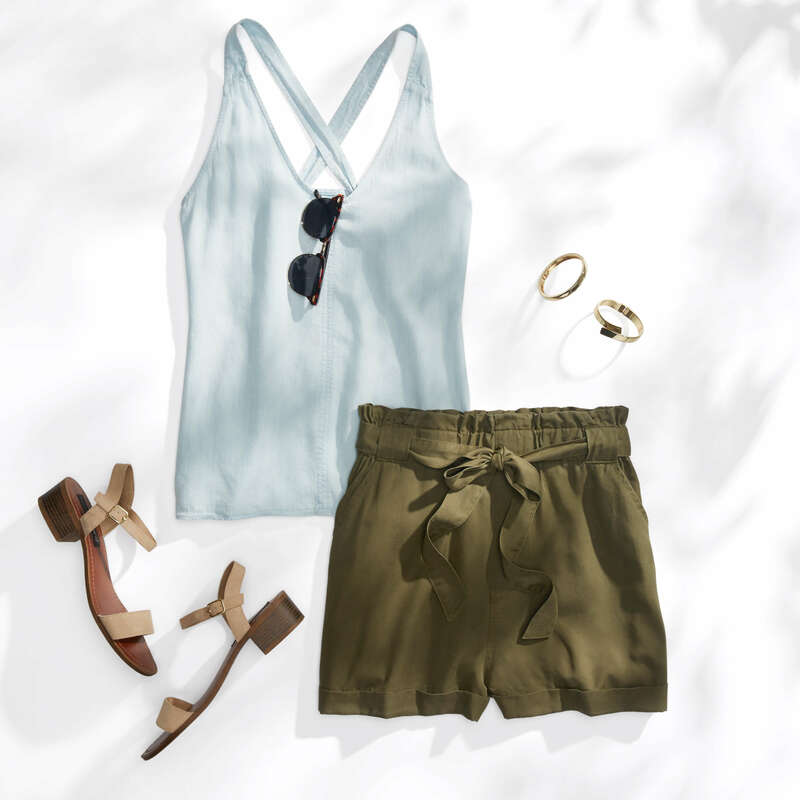 If you’re craving some extra coverage, pair your flowy shorts with a soft tank and a lightweight layering piece—like a kimono or a flowy cardigan. What’s your favorite way to sport flowy shorts? Tell us!